The written exam of West Bengal Primary Teacher Eligibility Test (TET) 2015 recruitment is going to be held on 30th August. Many of our readers are asking us about Primary TET 2015 exam. They are sending their queries on our email. As there are lot of queries we have got, it is impossible for us to give responses to their queries. That's why we are sharing here some important and useful queries with answers about WB Primary TET 2015 exam. Happy Reading! I appeared in Primary TET 2012 exam. Now what to do? Well, those candidates who appeared in 2012 Primary TET exam held on 31st March, 2013, need not to apply again. They can write the exam with the same admit card they have. The venue of the written exam will be the same. I appeared in 2012 and also applied in 2014. What should I do now? Those who appeared in 2012 exam and also did confirmation through the website and got Acknowledgement Card, they can also write the exam with the help of 2012 TET's admit card and 2014's acknowledgement card. The venue of exam and roll number are mentioned on the adit card. I appeared in 2012 as a candidate of General category. But now I am a OBC candidate. What to do? It won't be a problem. If you want to change your category and other details such as educational qualification, you can write it on the OMR sheet at the time of written test. I applied in 2014. Should I apply again for 2015 TET exam? Yes, you have to apply again. After submitting application fees in United Bank of India in 2014, the candidates got Transaction ID. Where to get it? The Transaction ID and Date are given on the bank challan. The online registration is now over (last date was on 23rd June). I want to apply as a fresh candidate in 2015? When the registration will be started? Well, WB primary board did not mention the exact time. As per sources, hopefully the online application for fresh candidates will be started from the end of June, 2015 and continued till 8th July. Hope these would be helpful for you. Still have queries? Fell free to ask us here as comments. Don't know the syllabus? Read out here about WB Primary TET 2015 Exam Pattern & Syllabus. Download TET 2015 Admit Card for candidates who applied in 2014 here. 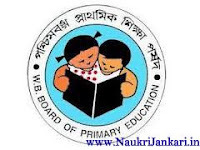 0 comments for " Queries on WB Primary TET 2015 Exam with Answers "